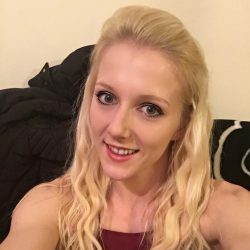 Tutor Bio Emily has been an xpole qualified pole fitness instructor for 3 years now. She recently started competing and came first in doubles for Lincolnshire pole championships 2017 with her doubles partner. She has taught a wide range of abilities and students and is more than capable of tailoring moves and teaching to the individual. She loves the many different styles of pole dance and incorporates them all into her classes to make them as fun as possible. Finally, she is also a spin city qualified stretch and flexibility instructor and is currently studying a yoga course to expand her range. Please contact the tutor on 07902330012 to discuss your requirements.